Rebekah Satyavati Newton, is an E-RYT with National Yoga Alliance. She received her certification and Sanskrit name from Ananda Village Expanding Light Retreat Center in northern California. 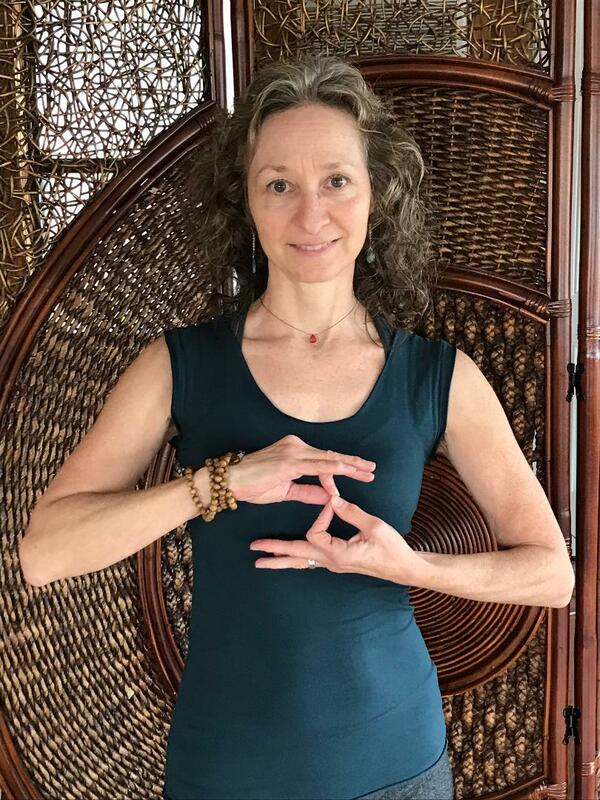 She has trained with and been inspired by Kate Potter – Namaste Yoga, Shiva Rae – Prana Flow, Tara Mandala Meditation & Retreat Center and her step-mother Linda Johnson – Restorative Yoga Teacher. Satya has spent 24 years using yoga, movement, and massage therapy to bring inner awareness for physical and mental well-being into her private practice as a RMT and Shiatsu Therapist. Seeking a more spiritual way of living in her 20’s inspired her move to Japan to study Aikido, Shiatsu, Do-In, Macrobiotics (foods that heal), Meditation, and Feng Shui (the art of placement). Living and training at healing centers in Massachusetts and California, she gained hands on experience in holistic healing practices. As a wellness advocate she has supported clients in improving their health and lifestyle. Passionate about kids, animals, nature, nutrition, essential oils, organic gardening, and stand up paddle board yoga. Satya’s main focus besides hosting seasonal healing retreats and teaching classes has been inspiring others to heal themselves. “Every day on the mat and in the world, my wish is to develop compassion and peace by healing the body, focusing the mind, and living a radiant life. All paths meet in a single sacred place: in the heart of the seeker”.